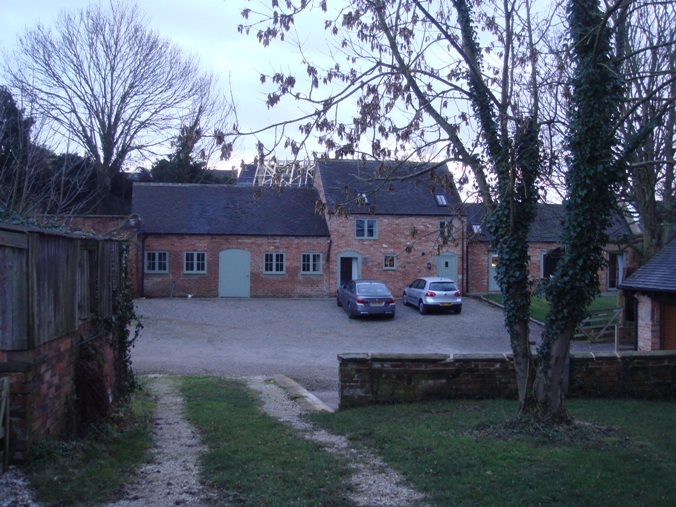 Our clients approached bi Design having just purchased a small farm in Burnaston. The farm consisted of a tired farmhouse with a range of agricultural buildings, some brick and tile and others clad portal frames. The farm house was built halfway up a large bank leading to the main farm land which opens up over the top of Burnaston offering exceptional views of the surrounding countryside. Our initial brief was to design a replacement farmhouse which related better to the sites natural topography and where possible make the most of the views at the top of the hill. After an initial scheme was approved by the planning department our efforts were shifted to converting the brick and tile barns at the front of the site into two dwellings allowing the clients to move into the barns while they built the new farmhouse. 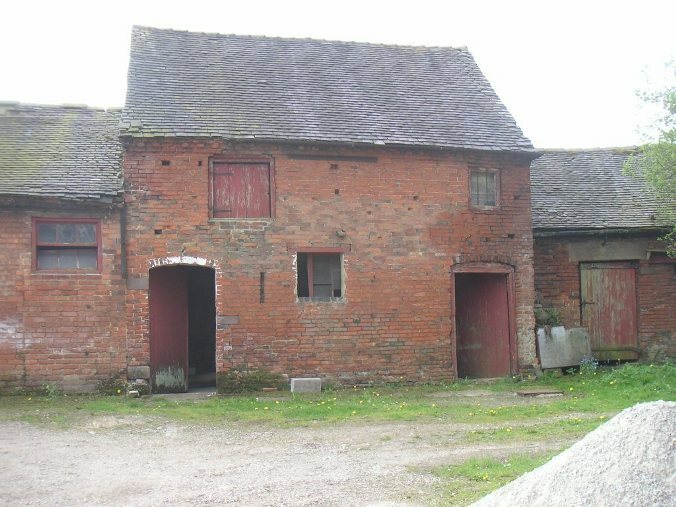 Parts of the barn were converted to the highest standard utilising original roof timbers as features. The internal spaces create large open plan living spaces perfect for a young family. The hall and bedrooms were configured using angled walls to maximise the space for the cloaks and stairwell which also created a unique entrance area. 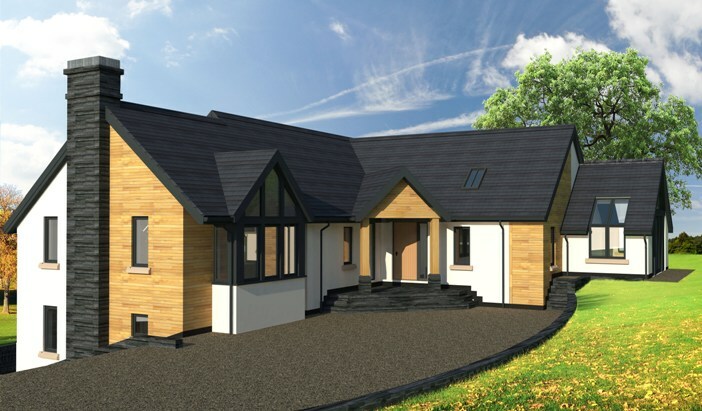 Once the conversion was completed emphasis was moved back to the house which was redesigned to change how the house related to the bank and a change in design style from a very traditional design to a more contemporary farmhouse. 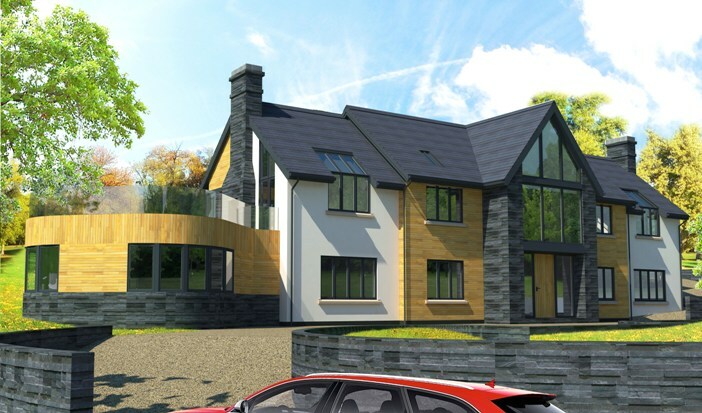 The outcome was to design a farmhouse which was located further up the bank with upside down living. The first floor is all on one level at the top of the bank with all the living accommodation at this level so that the kitchen, living room and garden room all have excellent views over the surrounding countryside. The bedrooms are on the ground floor which is built within the bank with views over the farmyard to the front of the house. The house is constructed from a mixture of modern stone cladding, crisp timber cladding and smooth render with Staffordshire blue plain clay roof tiles.